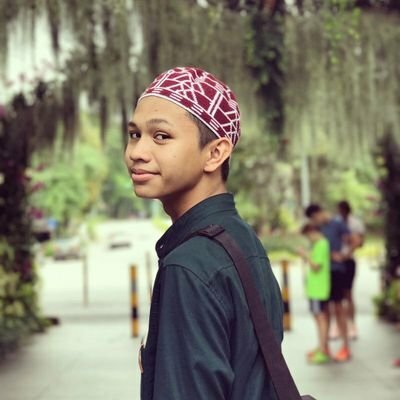 I am a 20 years old male from Singapore and I really want to study Islam(Hadith) in Islamic University of Medina but my father won't allow me to apply or enter until I complete National Service (NS) (2 years) and it's compulsory for every Singaporean to do so unless they've been accepted to Islamic University of Medina. You see I could be exempted from NS if I apply for Islamic University of Medina but my dad wouldn't allow me to till I complete NS though there are many reasons I don't want to such as shaving the beard and less time to study and learn Islam. It's really futile to me apart from making me "disciplined". I can be disciplined by Allah's wills and my own character changes I don't need some exterior forces to do so. I'm currently in my last year of Diploma and after that I just want to study Islam but my mind keeps telling me to obey my father otherwise I won't succeed in this dunya and in the akhirah but my heart keeps telling me to apply Islamic University of Medina. Oh brother, please help sort this problem I'm facing, it's giving me headaches and migraines just thinking about how my father would react to me despite me trying to tell him that I really want to pursue Islam and nothing else. He keeps telling me to balance both deen and dunya but how can I do that when I really have no doors to deen if I'm into dunya especially in Singapore as I know myself very well I wouldn't be able to travel to the other corner of Singapore every day after school/work to study Islam. You see this is something my father won't understand, he thinks he knows everything. Can you please give me sincere advices? What is the problem if you do NS first & then travel to Madina afterwards. I just want to know. I think it would be better to listen to your father and take your NS first. I am 19 and currently studying in Yemen, but I have not yet taken my NS. I have a deferment from it for only 3 years. The rules from the MOD is quite strict now, so its almost impossible to not take your NS. I know its a 2 year course and a total waste of time.. >.> but Singapore is ( as always ) a very strict country and they will never leave you alone. Even if you manage not taking your NS, you will also have problems being an Ustadz once you get back. I think being disciplined through NS is not such a bad idea, as that may also be under Allah's Will. If your intention to enter NS is to discipline yourself for Allah's sake, then I find that perfectly fine. Besides, discipline is needed to properly seek knowledge. As for shaving the beard, you can ask permission from MUIS to not have it shaved, but with a legit reason ( if I'm not mistaken ). This is my opinion, as a Singaporean like you. And Im glad that there is someone there who is passionate to study Islam. Work Hard! Ps. Have you taken any Islamic Studies beforehand? Just wondering..
As a citizen of Singapore you have responsibilities, you owe a debt to the rest of the city for the protection it has given you as you have grown up. Doing your NS is not about how it will improve you but how you will be able to defend the city should it need to be defended. Wa alaikum salaam, Given the unstable political situation in the Kingdom I'd suggest you obey your father, and perhaps once you finish NS Saudi would have sorted through its regional troubles.